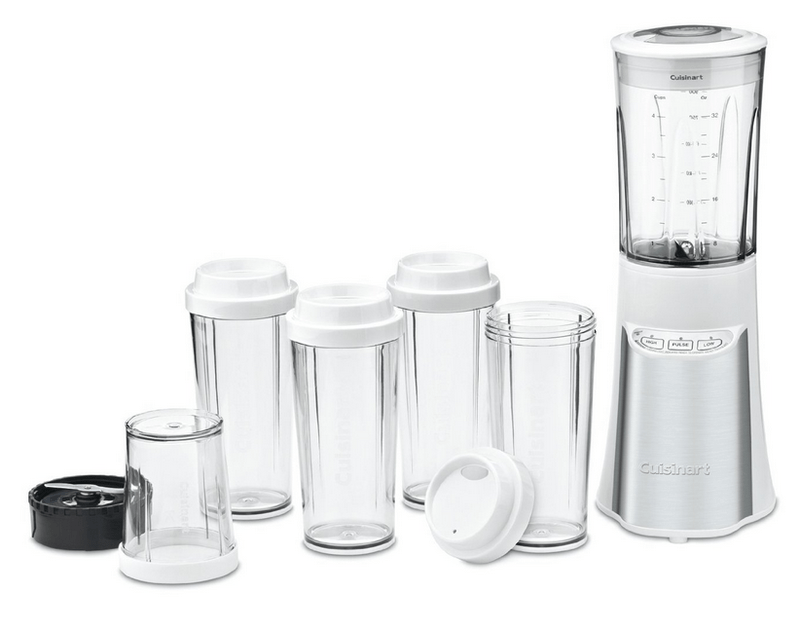 It's the Cuisinart CPB-300 SmartPower 15-Piece Compact Portable Blending/Chopping System and I got mine on amazon for $69.95. It's got a great design. 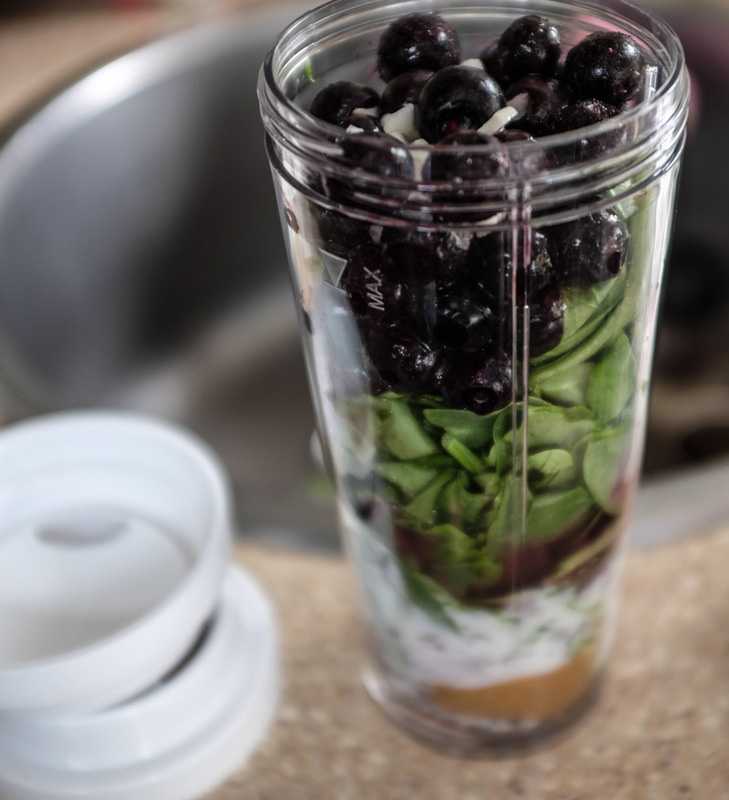 There's a chopper base and a mixer base (the black base with the blade) that attaches onto either the main 32oz blender container, one of 4 16oz smoothie to-go cups, or the small 8oz chopper cup. All containers are BPA-free, and it comes in white/silver, black/silver, or pink (!!!)/silver. I've used it a few times now and I can report that it's a keeper. 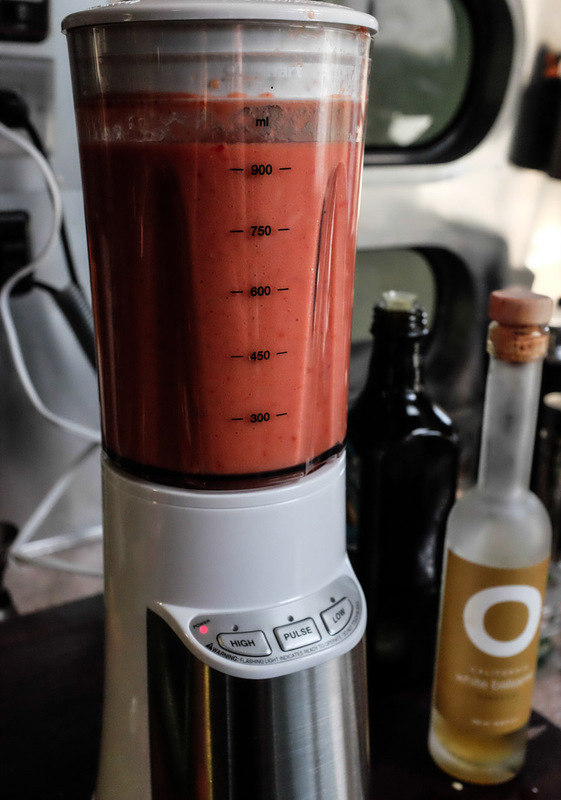 Last night I made some "wingin' it" gazpacho with fresh tomatoes, red bell pepper, jalapeno, watermelon, cucumber, garlic, olive oil, and some white balsamic vinegar (I normally use sherry vinegar, but I was out). It turned out great. 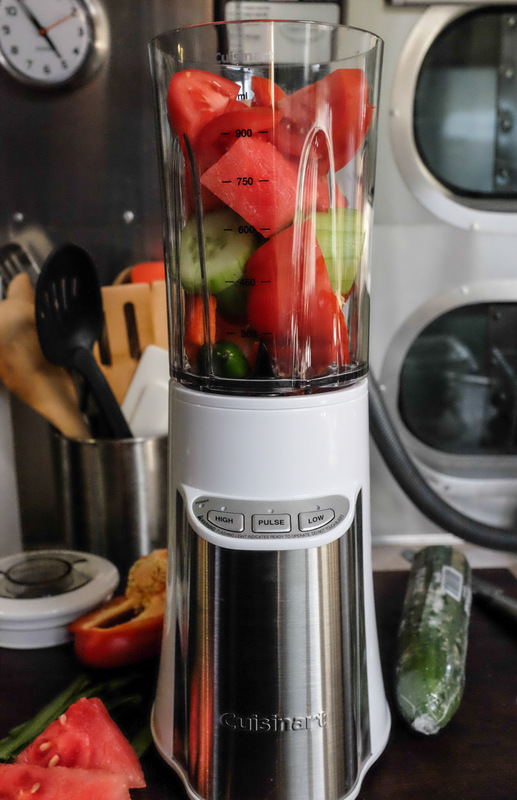 The blender has a pulse mode, as well as basic high and low, and they all work as you'd hope. 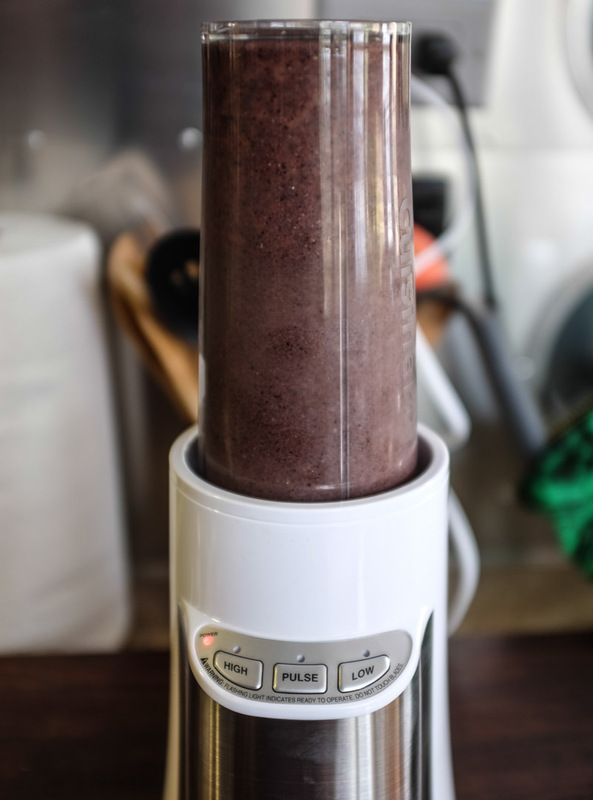 This afternoon after our hike I made us some smoothies for lunch: 1 scoop of chocolate protein power, a tablespoon or so of almond butter, some chia seeds, big handful of spinach, cup of frozen blueberries, about 1/3 cup of coconut milk and about 1/2 cup of coconut water. You basically just shove as much as you want into the individual cups, then screw on the black blender base and it's ready to blend. Turn it upside down and put it on the main blender engine base and go. The individual cups are nice if you want to personalize each person's smoothie, too. 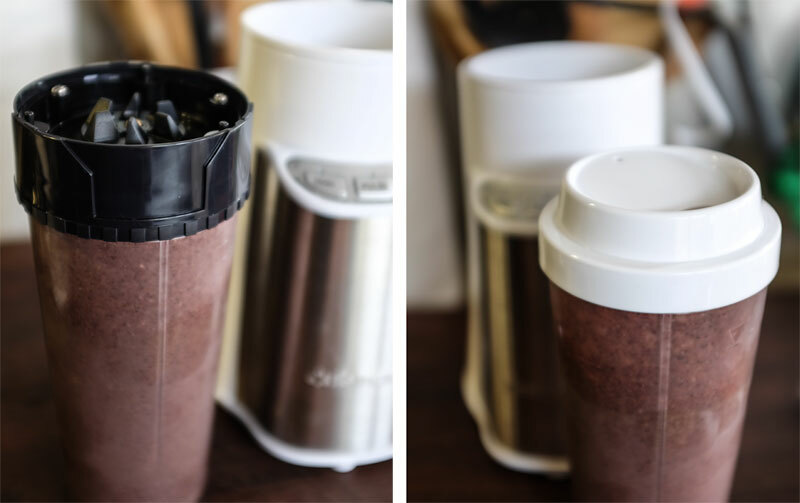 Remove the black blending base and replace that with one of the white sipper to-go lids and you're ready to hit the road. I haven't done ice with it yet, but there was a big sticker on it when it arrived that said "350 WATTS! CRUSHES ICE!" so we should probably try that too. Previous Post 25 Miles Later….